The Unlimited Golf Getaway package is perfect for the serious golfer that wants to pack in the rounds on BOYNE’s spectacular courses! The unlimited package provides the best value for your golf dollar, giving you unlimited golfing access to any of BOYNE’s eleven premier golf courses and a nights’ stay, starting at just $110. 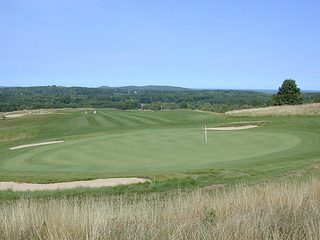 Courses included in the package (without a upgrade charge) are The Alpine and The Monument at Boyne Mountain, Donald Ross Memorial and The Moor at Boyne Highlands, Crooked Tree Golf Club and Hidden River Golf and Casting Club which is now part of BOYNE’s collection of leading northern Michigan golf courses. The Unlimited Golf Getaway Package is a great way to see and play as many BOYNE golf courses as your heart desires. Golf getaways such as this are perfect for a group outing for business, bachelor parties or just a fun weekend excursion with friends. Call 800-462-6963 today to book your unlimited package.